Costs of air fares, visas, gratuities and personal expenses. ** Any service not mentioned in the previous section (section of services included in the price) must be paid directly by the customer. ** Change Hotel or Route, only with permission of the agency. Departure by scheduled flight. Day aboard. Arrival at Delhi, our correspondent assistance and transfer to the hotel. Overnight in Delhi. Morning visit the "Old Delhi". 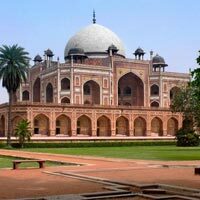 In Old Delhi visit the Chadni Chowk, Raj Ghat and Jama Masjid Mosque. In the afternoon we will take train to Amritsar, we arrived in Amritsar and lodging. After breakfast we start our visit with the "Golden Temple" Golden Temple, Amritsar, which is most revered of the "Sikhs" temple. Then you can visit Jallianwala Bagh National Memorial independence movement of India. Optional visit Moti Bagh Palace, to see the palace of crystals or after visiting the Pakistan border to see greeting ceremony of hosts with sunset meal. Overnight in Amritsar. After breakfast we left for Bikaner (approx. 08horas), first contact the Thar desert Rajasthan.Es a long day, lunch at ruta.Llegaremos afternoon at hotel, night in Bikaner. After breakfast, we visit the fort and palace of the Maharajah. Walk around the city and its bazaar. Walk through the old part of the city and its spice bazaar. Do not forget the Jain temples policromados in the old Bikaner and spice bazaar. Overnight in Bikaner. Optional: - Visit Deshnok Temple, known as the temple of rats. After breakfast, we headed Jaisalmer (approx 325kms / 05-06horas), this route is part of the legendary camel caravans of the Silk Road. At noon we can visit the small town of Pokharan. We arrived at Jaisalmer one of the most extraordinary cities in India all of it carved in stone as a monumental watermark. It is nestled on a small hill surrounded by desert. Sunset on the royal cenotaphs ... Overnight in Jaisalmer. Shopping: Jaisalmer is famous for its detailed work quilt, carpets, cushions. After breakfast (at 08.30) visit the walled city and its surroundings. Wonderful temples Jains. We can visit Jain temples and ashrams nearby. After lunch we continue towards the village Khuri (approx. 01hora) for a camel to see the sunset in the dunes. Overnight in Jaisalmer. Dinner included in the program in the village of Khuri. Recommended spending the morning at the fort that still has a very lively atmosphere for the 6,000 people living there. also declared city heritage site by UNESCO for its great filigree work. We left the desert to Jodhpur (approx 330kms / 05horas). Early in the afternoon we arrived in Jodhpur where we visit the impressive walled fortress that protects the palace of the Rajputs. It offers a visit to an extensive museum with headphones inside. The price of headphones is included in the entrance. In the afternoon you can enjoy a chaotic ride on the local spice market. Overnight in Jodhpur. Shopping: Jodhpur is famous for spices and antiques. After breakfast, we went out (at 08.30) to Udaipur (approx 290kms / 05-06horas). Halfway visit one of the most important and beautiful temples Jains of India in marble, Ranakpur complex located in the valley of the Aravalli mountains. The road to Ranakpur Udaipur, has some of finest scenery found in Rajasthan. Caution: there are many langurs (monkeys) in Ranakpur not carry bananas on hand. Shopping: Udaipur is famous for his paintings and miniatures on marble, paper and fabrics. After breakfast (at 09.00), we started the visit to enjoy the lakes, palaces and gardens of the city. It is advisable to start by visiting the Royal Palace. Also we walk through the bazaar. In the afternoon possibility to attend a performance of their handmade marionette (Optional boat ride on the largest lake in the city). Overnight in Udaipur. After breakfast we went to Kumbalgarh (approx. 90kms / 02horas) is the only book which is open during the monsoons, here we can do various activities such as trekking, hiking with Jeep safari or just relax. Visit the fort with the height of Rajasthan and the largest of all. Kumbalgarh night. Dinner at Pushker, one of most recommended restaurants ÖM Shiva¨que a law is 1 euro per person. Caution: Pushker there are many priests who offer flowers, once taken, the last ritual before start and then ask a lot of money, do not accept anything from anyone here. Neither Temple nor on the shores of Lake advisable to see the sunset from the terrace of Hotel Pushker palace. Buyer beware: the purchases here, sells very cheap but with tara things. After breakfast, we left Jaipur (approx 150kms / 03horas), we can go out, mid-morning and arrived at lunchtime. We can make a tour of the city "rose", the capital of Rajasthan and visit the palace of the winds from which we will have a beautiful view of the city. We settled into the hotel. We can visit in the afternoon the Royal Palace. Must complete the afternoon visiting Laxmi Narayan Temple (Birla temple), where prayer gods are made every day with the sunset. Accommodation in Jaipur. Shopping: Jaipur is famous for Pashminas, fabrics, carpets and semi-precious stones. Dressmaking in 4 hours. After breakfast (at 08.00) we went to the nearby Amber to visit its magnificent palace - strong, can climb on the backs of elephants. It was the capital of Rajasthan for six centuries. We return to Jaipur for lunch. Visit the royal cenotaphs "Gaitor" and the observatory. We can spend the afternoon strolling through the bazaar. Overnight in Jaipur. ** A little adventure: Jaipur is known for being the most chaotic city of India, where coexist more modern car models with classic models, animals such as camels, cows, elephants, etc. On the street. We went to Agra, and start the route, about 5/6 hour drive. Before arriving in Agra we visit the city "ghost" Fatepur Sickri. Lunch en route. We continue to the city of Taj Mahal. Arrival in Agra, located on the banks of Yamuna River, was the capital of the Mughal Empire at its peak. Free afternoon. Overnight in Agra. Shopping: Agra is famous for its marble, interesting to visit a store to see the inlays. In the afternoon transfer to the train station to go to Varanasi. Overnight in Train. In the morning we arrive at Benares. Our correspondent assistance and transfer to the hotel. Arrival in Varanasi, the holy city par excellence, can that one of the biggest footprint that we leave. In the afternoon we can visit the park and its Stupa Sarnath, where Buddha gave his first lesson. Sarnat and museum visit, and eat again in the evening visit the Ghats for prayer around the Ganges and market. Overnight at Varanasi. At dawn, or during the day, optionally, we can take a tour of the river Ganges. Visit the Gahts or doors to the river and the main temples and monuments of the city. At night we went to the station to catch night train back to Delhi. Overnight in Train. Day 19: DELHI - NIGHT TRANSFER TO THE INTERNATIONAL AIRPORT. In the morning we arrive in Delhi, visit "New Delhi". 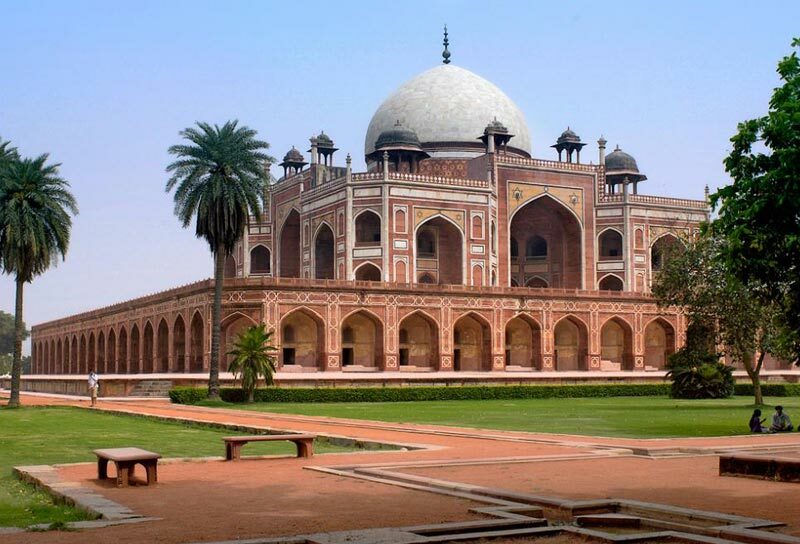 In New Delhi we visit the Imperial City, Raj Path Avenue, where the India Gate, Parliament House, the Presidential Palace, Humayun's Tomb and Qutub Minar ... Afternoon free for last minute shopping. Day 20: DELHI - YOUR COUNTRY. PROGRAM: The itinerary description is generic and subject to variation without affecting the content of the program. VERY IMPORTANT: for domestic flights companies allow maximum luggage of 15 kg per person, please take this into account as excess baggage must be paid at the airport.